Isn’t it indeed. Or is it really? Sure, one would probably expect a Range Rover more than a Jaguar, but that may be as far as the ‘bizarre’ goes when it comes to luxury cars in Accra. One only needs to look at Daddy Lumba’s music videos or the car parks of the ubiquitous KFCs (yes, Kentucky Fried Chicken) dotted around the city to realize that Jaguars are everywhere. The foodstuff of dreams, the emblem of success, commanding praise and bestowing pride, capturing the imagination of a nation from street-sellers to CEOs: the Jaguar is everything a car should be – a social institution in its own right, fluffing the complex fabric of urban life. So why should we deplore the attraction for luxury? Why should we “bizarrize” the equivocacy of dreams? If Jaguars in Osu unsettled Mister F, his comment increasingly unsettled me, and I found myself poking at his remark in what may seem like unnecessary nit-picking, but I believe reveals a widespread ambiguity toward luxury, elitism, and inequality in urban Africa. Mister F’s comment bespeaks a common attitude of outrage by many European tourists to Ghana who, between Busua surfing and orphanage volunteering, assume a moral cloak of indignation at the Jaguars and Rolexes of Accra. Far from being a trivial passing comment (or precisely because it is), the “bizarre” quality of Jaguars in Osu reveals neocolonial geopolitics at its peak. Mister F’s uncomfortable feeling isn’t about luxury cars themselves, but about the moral place of luxury in an African city. Here I may be accused of being unfair to Mister F (to whom I apologize in advance). His comment, you might argue, could very well have been devoid of any geopolitical overtone and may have been intended as a general outcry against social inequity at large. The same Mister F might, back in Paris, decry the luxury of Chanel among countless homeless people sleeping on the pavement of the Champs-Elysées. But the problem is this: if one may find the juxtaposition Chanel/Homeless despicable, as I’m sure Mister F would, one does not qualify the presence of Chanel in Paris as “bizarre”; and it is this very important nuance that I wish to dwell on here. What kind of moral trespassing is invoked in the qualification of Jaguars as bizarre, if it betrays the nuance of a singularity rather than representing a general insurgency against social inequity? My question to Mister F is this: why are there no Jaguars in the African urban jungle – in a white man’s urban jungle –, no jaguars allowed, unless they’re running after antelopes? One is of course reminded of 19th century romanticization of an Africa close to nature, or an exoticization of a wild, savage, dark territory contrasted to the disenchantment of the concrete jungle, etc. But it goes further: refusing to see Jaguars as a constitutive part of the urban African landscape is a refusal to acknowledge African elitism and the very possibility of social class and inegality in Africa. It is a romantic, purist strive to preserve an Africa untouched by modernity, capitalism, and above all, internal strife and inequality. For one of the assumptions hidden under the “bizarre” sight of Jaguars in Osu is this: whom does Mister F think of as the owners of these Jaguars? The question goes for any other similar comments by well-meaning foreign tourists: who checks in the Mövenpick Hotel, who goes for brunch at Labadi Beach? Most often than not, the image in mind is a Western expatriate or foreign visitor. And most often than not, it is Ghanaians or other West Africans that make up most of their clientele. The assumption that Ghanaians – or other Africans for that matter – cannot (or, worse, should not) be rich enough to drive luxury cars reflects a wider refusal in the West (abundantly fed by the media) to accept an African elite as legitimate Africa (in what has always seemed to me so paradoxical given the incredibly complex regional histories of display, prestige, wealth and consumption). This is not simply a denial of ‘co-evality’ in the face of international elitist membership composed of, for instance, Jaguar owners, but rather, to paraphrase Fabian, a denial of “co-eval inequality” at the heart of the distinction between so-called ‘developed’ and ‘developing’ nations. Disregarding African elitism feeds into an enduring “mythology of classlessness” (Cohen) in West Africa, in which social classes are putatively inexistent and socio-economic disparities reside outside of local agency and/or causality (making them unresolvable by local means). I want to argue here that refusing to see Jaguars as part of the “total reality” (dreamed, failed and lived) of Ghanaians in Accra is part of a widespread postcolonial morality of “absolving materiality” as an act of neocolonial salvation: by denying Jaguars a legitimate presence in Accra, one absolves Ghanaians of social inequity, restoring a peaceful image of Africa as deplorably ruptured by the external forces of an imposed capitalism. In confining inequality to a Western imposition, Mister F’s comment is a supplication: a desperate attempt to shush the possibility of Ghanaian moral wrongdoing, of conflict, of agency – it is a (re)turn to Western salvation. Western neocolonial guilt paradoxically tries to clear Africa of any form of moral wrongdoing; that is, inequality is always assumed to come from without. Inequality at the heart of African society is not thinkable because it would destroy the very foundations of neocolonial moralism, a pure idea of Africa as the morally good to be economically rescued or as the ‘lacking continent’ to be supplied for by Western magnanimity. And so what begins as a well-meaning outcry against social inequity in fact reifies a dangerous gesture of what in French I would call ‘blanchir l’Afrique’. Blanchir l’Afrique: “redeeming Africa”, literally, ‘whiten to clear (from blame)’, an ironic ‘whitening’ of Africa as moral cleansing and antidote to Western guilt. After the “white man’s burden”, the task is on concealing the African man’s burden. If the postcolony, as Mbembe argues, works upon the constant threat (or opportunity) of social reversibility – the “conviviality” of power in a “régime du simulacre” by which leaders and subjects switch place in quick turnovers of power -, so Western postcolonial guilt strives hard to undermine the very conditions of this social instability. In the fabrication of a smooth canvas upon which undifferentiated, blanchis subjects suffer the fate of social homogenization, there can be no Jaguar owners, but neither can there be Jaguar dreamers, erasing the very foundations of a social pivot system under which “the grotesque is no more foreign to officialdom than the common man is impervious to the charms of majesty” (Mbembe 1992:10). With inequity denied, so is pleasure: can dreams grow in a homogenized material world? Where is the place of desire where its objects are denied? There is always tension when moralism meets materiality – and this partly explains the ambiguity of the West towards African elitism and luxury. 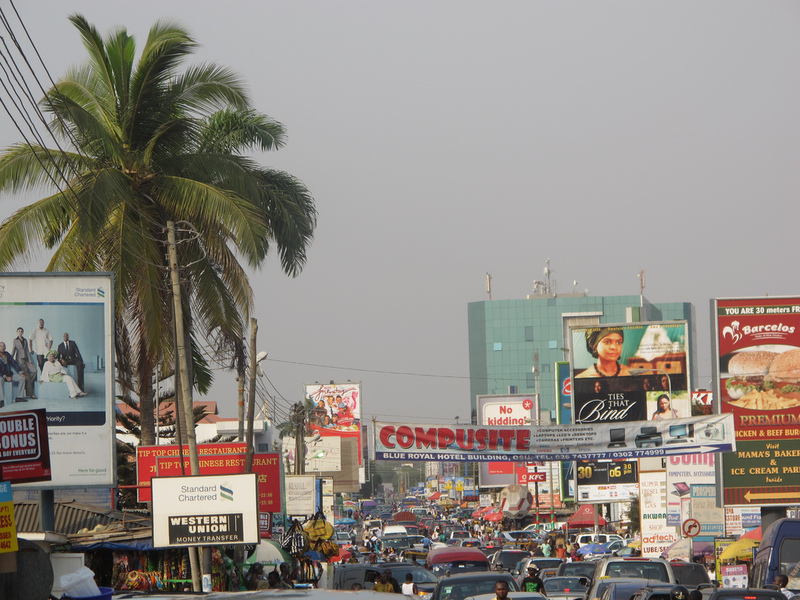 This sentiment of discomfort at the thought that rich Ghanaians drive Jaguars through the poverty-stricken pavements of Accra resonates with a rationale system that is pervasive not only of common consciousness but of Western institutions at large. ‘Rationality’ as a moral mandate has come to dictate choice. In the discourse of international development – which has come to inform common perceptions of Africa – the West always privileges economic rationality over the complex reality of desires. By international standards, Africa always “fails” if it chooses earrings over running water, mobile phones over school fees, Jaguars over philanthropy. In a censored economy of pleasure, “developing” nations always outgrow the wrong way, bending in asymmetrical directions that are morally reprehended. This is a more cynical take on Mister F’s comment. 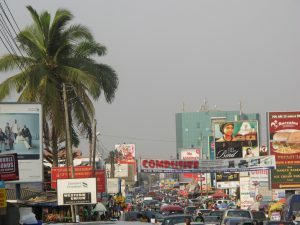 In dictating the material metaphysics of necessities, Western rationality has created a double-standard material world system by which it is acceptable, if morally disputable, to see a Chanel/Homeless juxtaposition in Paris but “bizarre”, “out-of-place”, “abnormal” to view the same couplet in Accra. If Nietzsche is correct to declare that “ultimately, it is the desire, not the desired, that we love”, what consequences could there be to a Western moralism in Africa that seeks to eradicate not only the object of desire, but the very possibility of desiring – a world where the reality and supremacy of pleasure is denied?